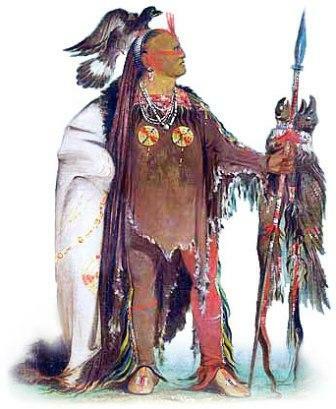 Facts and information about the History of Clothing and regalia of Native American Indians. The History of Native American Clothing varied from tribe to tribe and was made from the natural resources that were available in their different locations. The natural resources used to make clothes fell into three main types. Clothes made from animal products, clothing made from plant products and clothing made from cloth that was woven from cotton or other plant fibers. Trade Cloth was introduced by the Europeans in the late 1700's and changed the culture of the tribes and the history of Native American clothing forever. The history of traditional or ceremonial dress and regalia worn by Native American Indians is a fascinating subject. The following fact sheet contains interesting facts and information on History of Native American Clothing.